I’m not going to lie, I love a donut (or two). Specifically donuts with sprinkles. I grew up not liking donuts, I genuinely disliked them. Then I became an adult and my palate became so much more refined; I also discovered Krispy Kreme as a citizen of Raleigh. 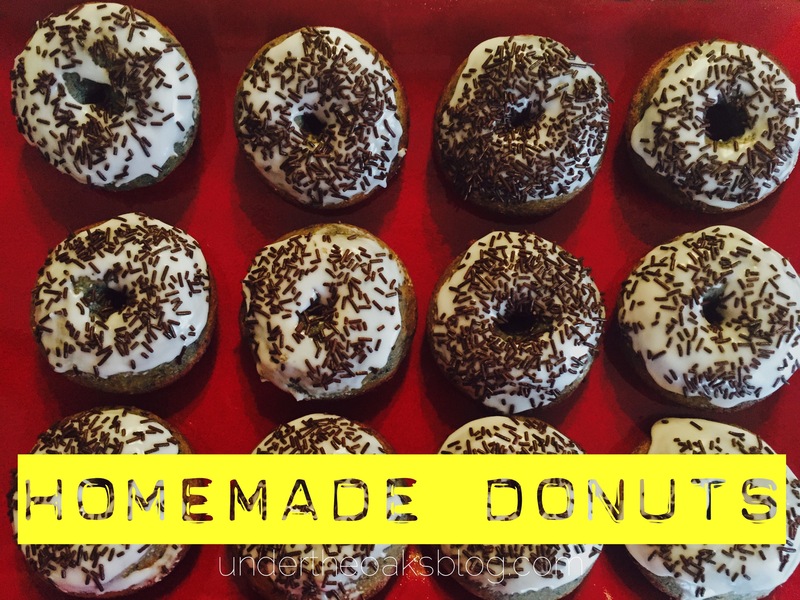 Today is National Donut Day, so here is a super easy donut recipe I tempted a few weeks ago. 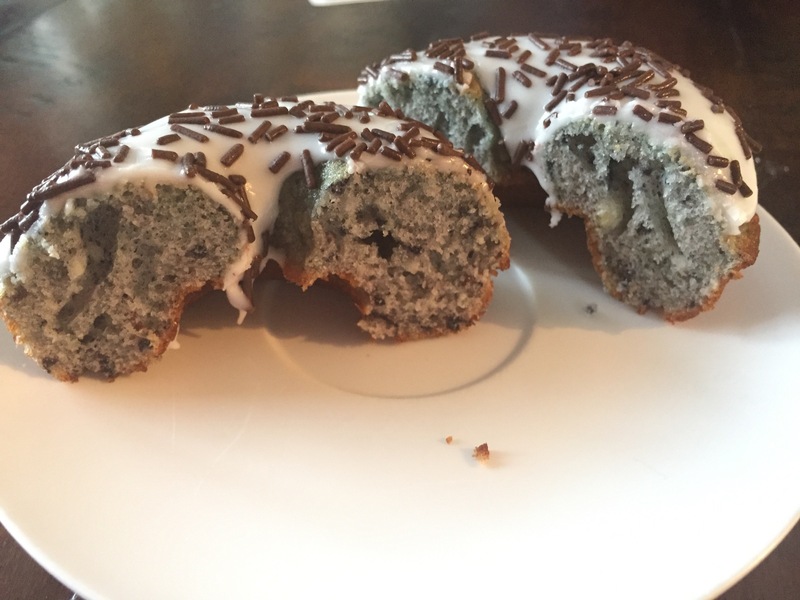 The donuts were light, easy to make, and were devoured in a few days. They also had blueberry in them and that’s healthy, right? Antioxidants for the win. 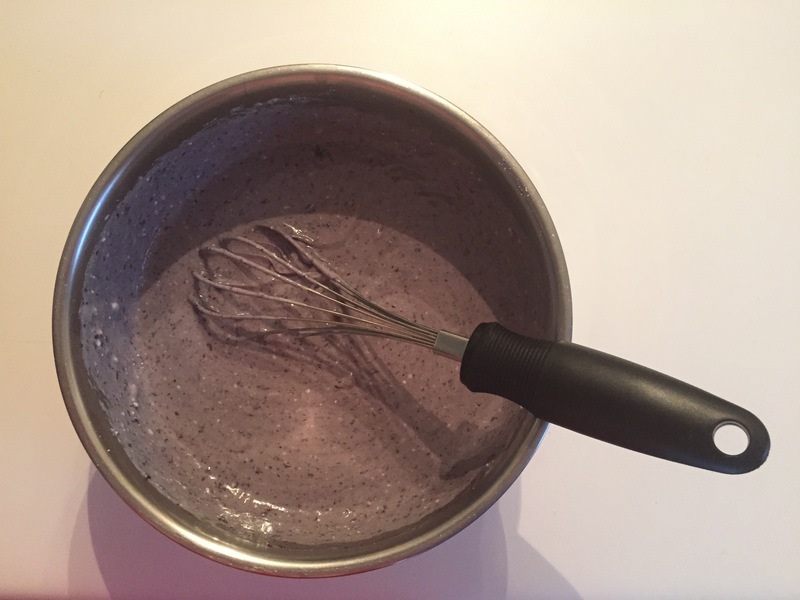 1) Mix together 1 Box of Duncan Hines French Vanilla cake mix, 1 egg, 1/4 cup of vegetable oil, and 1 cup of water. 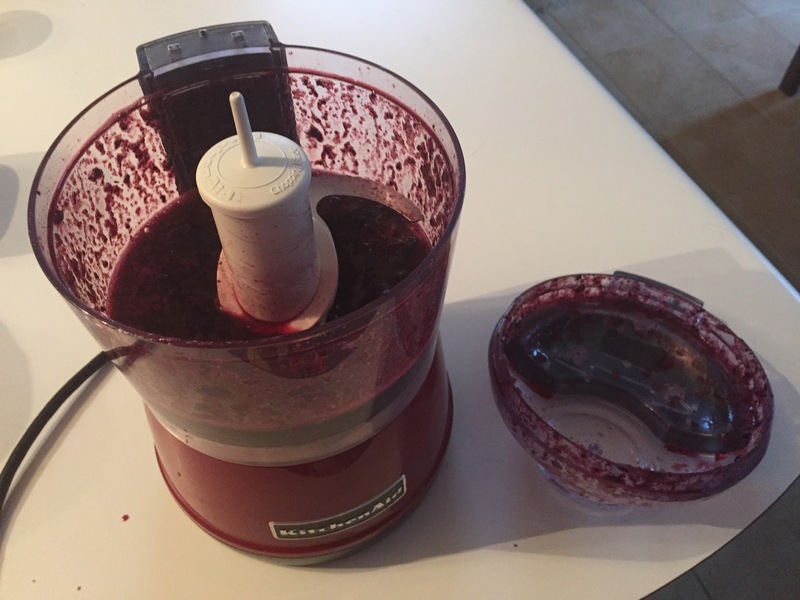 I also pureed about a cup of frozen blueberries and added into the mix. 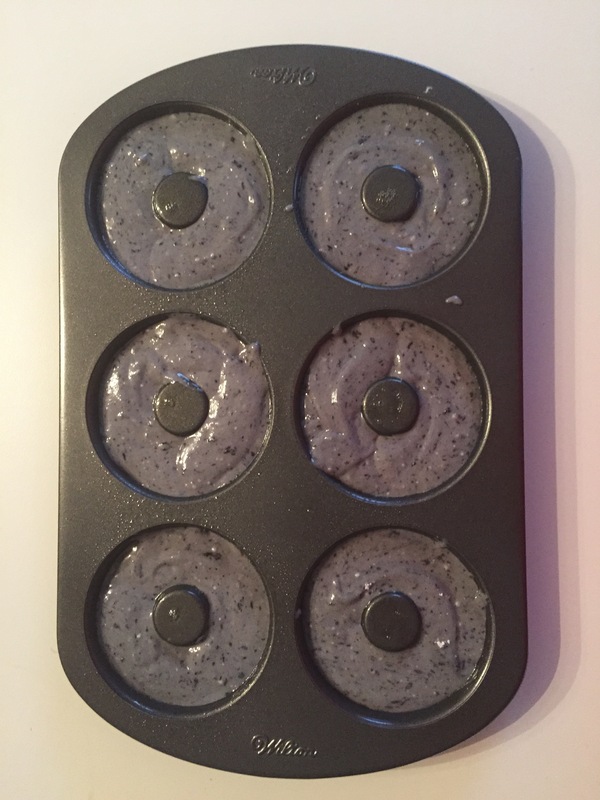 2) Pour into donut pan (I used a non-stick, so no spray required). You could use a pastry bag if you want to be precise, but I was content pouring in using a large spoon. 3) I baked at 375 degrees for about 15 minutes and made 2 dozen donuts in total. Eat warm, or a few days later, they are delicious!